So speaks the spirit Kathleen in the book Life Beyond the Veil, in The Ministry of Heaven section. 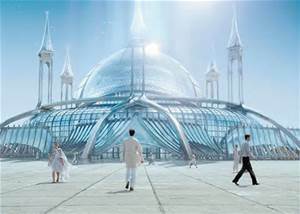 It was a communication to the Rev G. Vale Owen describing the building of a temple on the fifth sphere of heaven above the earth. She speaks (as the translator from a group of spirits to G. Vale Owen) about the joys of creation and stamping your character in what your group created by thought – by shear will power and faith. I have written before, how as we rise up the levels of heaven we slowly attain the faculties to begin to cause action with our will, with thought. Construction by groups of skilled spirits cooperate in planning and building towers, palaces, lakes, and parks; everything that is desired and needed for life in the spirit realm. Hence, the architecture is only limited by the creative powers of the artists who were given the task to conjure the requested object. What is interesting in the quote at the start, is the statement, “if that be the line of your ascent in the Kingdom of God”. Therefore, we are being told, that we have options as to what type of future work we shall be performing in the spirit world. This topic was also discussed by the spirit Zabdiel in his description of the fifth level of heaven. Hence, there are different paths to ascend higher. And those paths begin at the fifth level. We only know for certain that one path is the road to continue learning to use your mind and will power for creation. What the other paths are is unknown to me. 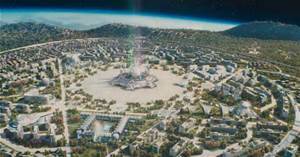 I would venture to surmise that not every soul would wish to continually climb up the ladder to be responsible for creating greater and greater edifices, where eventually one could be in charge of forming planets and solar systems. The spirit Emmanuel, in the book, On the Way to the Light, reported that Jesus was one of the spirits who helped create our planet. Therefore, this path not only entails great architectural talent but most probably leadership as well, since Jesus is the Governor of our planet and others besides. Jesus holds the spiritual paths of billions of spirits on and around earth in His very capable hands. I wouldn’t second guess anyone who would pass on that great responsibility.